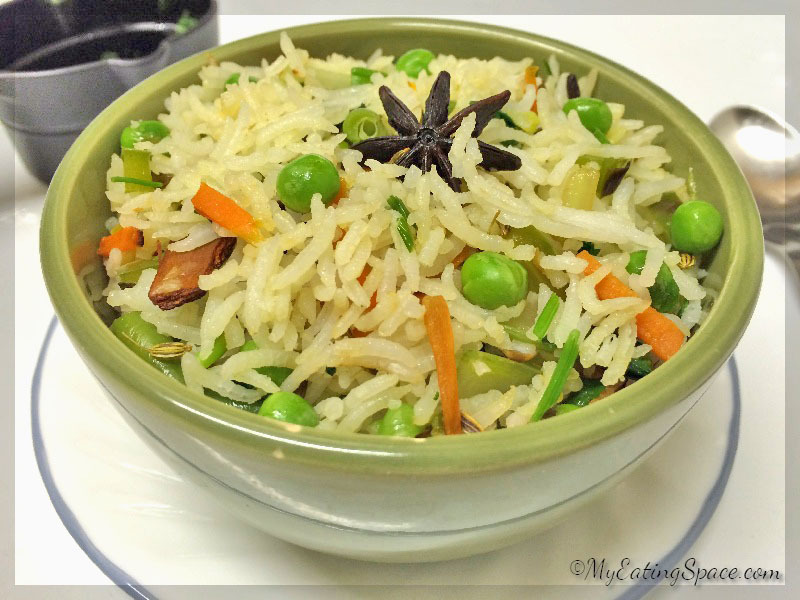 Indian vegetable pilaf (pulao)- If you are looking for an easy rice recipe with lots of vegetables, this will be the perfect fit. This is almost similar to biriyani, but a much easier variant of biryani. The colorful vegetables paired with the aromatic rice and whole spices make a distinctive and tasty dish. 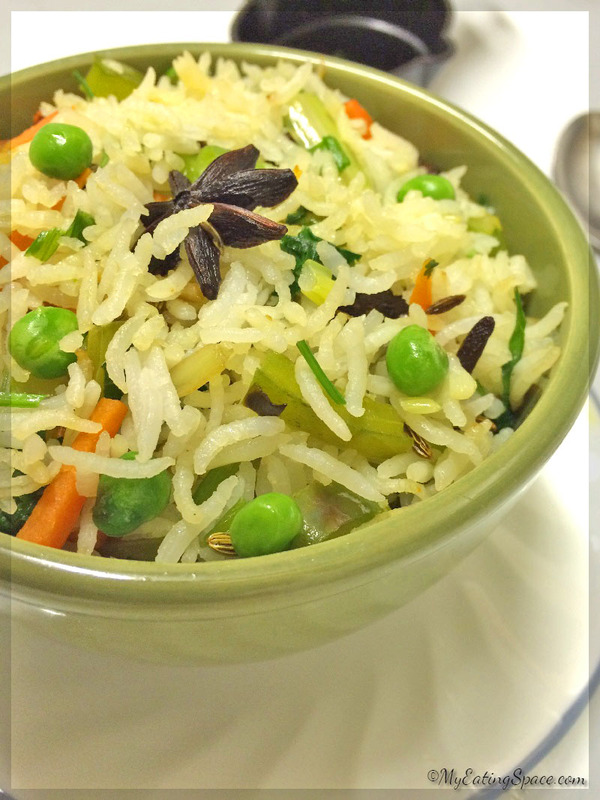 This vegetable pilaf was the first flavored rice dish I learned to make when I started cooking. I think, for almost one year we got hooked with this recipe since it was a simple process with a savory relish. Whenever we craved for biryani, fried rice or pilaf, we made this spicy Indian style vegetable pilaf. Long back at that time, almost 4 years back, we only used carrot, green beans and bell pepper (capsicum) in the vegetable pilaf. Now and when our boy was born, we made some additions like celery, green peas etc. to add more veggies into his diet. My husband is a great and adamant lover of pilaf/fried rice/biryani. This made everything easier for me. 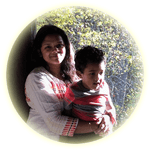 If I am making our very own Kerala rice (my favorite), I have to make at least 2 side dishes. If it’s vegetable pilaf, he will even have it with pickle or raita. Less effort for me. He will get to eat his favorite dish. So it’s a win-win for both of us. An easy and effortless spicy vegetable pilaf. A wonderful combination of aromatic rice, spices and colorful vegetables. They make a savory gluten-free meal on holidays and working days. Heat the butter in a large pan. Let it melt completely. Now add the spices; fennel seed, cinnamon, star anise and cloves. Stir-cook until a nice spicy aroma comes. Add the vegetables (carrot, celery, green beans, green onion, bell pepper) into the butter. Cook on medium-high with stirring for 3-4 minutes. Add the green peas and again cook for 1-2 minutes. Then add the cooked rice and cilantro. Mix well. Remove from heat. Let it sit for 5 minutes befor serving. Serve hot. Enjoy a healthy vegetable meal. Enjoy a delicious gluten-free meal on holidays. 30 minutes in the kitchen and you will be done. 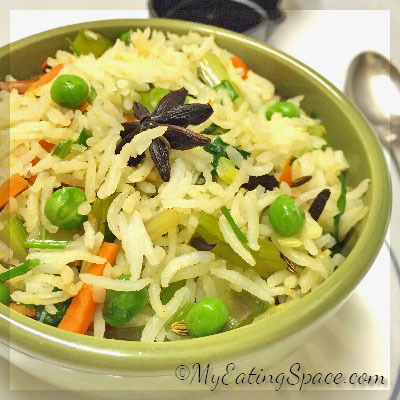 This Indian vegetable pilaf recipe is easily adaptable. Make your own version of the dish. You can try adding Italian seasonings, more veggies like broccoli etc.